This bald cypress stands alone at the edge of a crystal clear pool along the path of the Pedernales River. 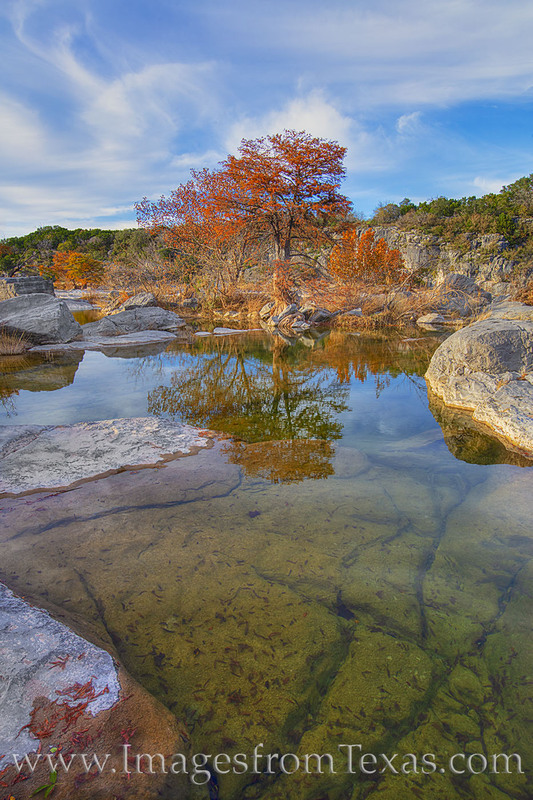 The Autumn colors of the Texas Hill Country can be stunning in the right conditions. On this evening, the solitude and beauty were tangible, and all was quiet except the sound of water flowing over limestone rock. Photo © copyright by Rob Greebon.